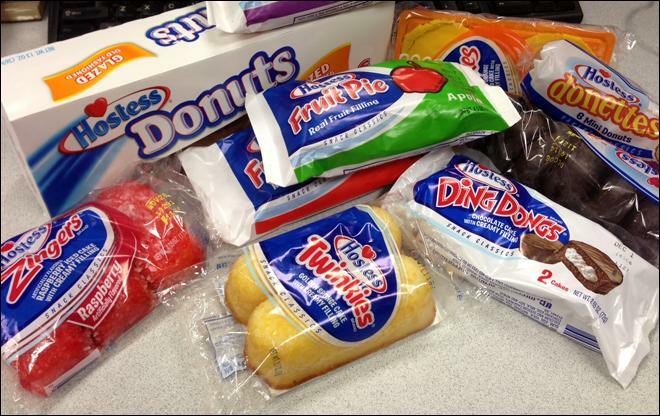 The Challenge: When a major CA private equity real estate investor purchased the remaining real estate and equipment assets from the Hostess Bankruptcy in late 2013 for $62.5 MM., their first hurdle was to liquidate all of the machinery and equipment in (8) commercial bakeries, (120) distribution centers, maintenance garages, and retail outlets, and 3,400 truck and trailers, all spread out over 34 states. Developing a disposition plan that offered a maximum financial return, at the least expense, with the shortest and most complete removal time would be essential to the new owners so that they could immediately get their real estate prepared, on the market, and sold. They were also looking for financial surety. Numbers were important, since they were counting on the cash flow from the equipment to help carry the real estate until the project was complete. The Solution: Capital Recovery Group (CRG) dispatched teams from each coast to document and catalog the equipment and rolling stock assets using the latest digital technology in order to report back to our appraisal specialists who could rapidly analyze the information to determine the contemporaneous current auction values. We looked, and accounted for pitfalls, upside, scrap opportunities, hidden costs, weather concerns, other extraneous factors, and finally aggregated a total net amount that we felt that we could minimally guarantee the investor, while returning clean facilities to them in a reasonable amount of time. The Result: CRG, along with strategic partners, conducted a (7) multi-day auctions at Hostess bakery factories in 5 states over 2 months. We set up, advertised, coordinated and successfully sold all the equipment and 3,400 trucks and trailers at (90) Hostess retail outlets nationwide through private treaty sales, a series of online auctions and Live with webcast auctions. CRG managed a complicated title transfer and de-identification process for all company vehicles. All equipment was sold and removed from the facilities by the end of the 90-day period.